The Higher Truth is...there's no need to "look." In the previous edition of Enlightened Journey, I mentioned that it was "past time" for me to step up and play a bigger game. This edition is a reflection of that. It also fulfills a promise that I made to you in the last edition. It provides all you could possibly need to start playing a bigger game as well. That's more than some shallow, superficial and/or unsubstantiated claim. Be assured, if you're not already aware, you soon will be, that I don't make promises halfheartedly. When I say "it's all you could possibly need to start playing a MUCH bigger game", as you'll have the opportunity to prove to yourself very soon, it's a fact. It's also a fact, that when you make the choice to start playing as big a game as you can, you start winning more. MUCH more. We never really lose...not really. When it seems like we're "losing", or "failing", or continually "coming up short", all that's really happening is that we haven't yet started, (or have stopped playing) the biggest game we can. That fact applies equally to everyone. What's even better than that, is the fact that what follows works for everyone. Let me rephrase that. It works for everyone who works it. Because it does, this may be the single most important and helpful edition I've ever written. The benefits you'll receive will ultimately be up to you. But I'll assure you of this. 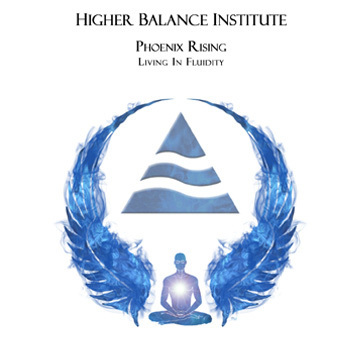 If you're open to and serious about tapping into parts of yourself that invigorate, light you up, excite and empower you to play the BIGGEST game that you CAN, the game changing possibilities that this edition provides, are BIGGER than BIG. Indescribably BIG in fact. That's a "promise"...and one I make based on personal experience, as well as the experiences of many others who did something with what follows. Over the years, I've shared a number of concepts, ideas and strategies that I KNOW, based on personal experience, enhance quality of life. 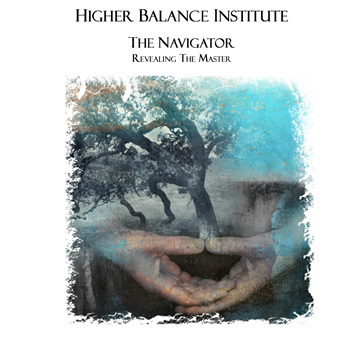 During those years, It's always been my intention to do everything in my power to assist those, both inside and outside the Enlightened Journey Community, who desire more for themselves. Since you're reading this, chances are great that you chose to become a part of this community at some point, because you desire more of something too. You may be curious, perhaps serious, or maybe even fully committed to finding some nugget, insight, or strategy which might assist you in fulfilling whatever desire/s you might have. If you are serious about and have wholeheartedly committed to finding an answer/solution that works for you, you've no doubt done your best to find that ONE thing that will do the trick. No doubt you've also "hoped" that what you have found and perhaps "tried", would "do the trick" in the simplest and quickest way possible. The fact that you're here now, more than likely means that, you're still looking for that ONE thing. If you're experience is anything like mine, in your search for that ONE thing, you've no doubt come across and tried many things. If you'll commit to DOING what I'll be revealing soon, you won't have to look, search, seek and try anymore. Not only does what I'll be revealing today provide that ONE thing, it will end any need to keep seeking, searching, or trying. It DOES provide the ONE thing you and everyone else is "truly" looking for. It WILL provide it to you too, if you'll allow it to. The "allowing" part is entirely up to you, but that part is very simple. Allowing as it pertains to what I'm referring to here, simply means committing to taking in what follows and if it makes sense and feels right to you, DOING it. I can't know where you currently are, what you've experienced, or what your personal desires might be. I have no idea how badly you might want them. Nor can I know what you've "tried" thus far, in your attempts to make them real. Although I can't know those specific things about you, I don't need to. What I do KNOW is this. If you're serious about getting them, you CAN have them. If you'll commit to doing what's "truly" necessary, you WILL have them...simply, quickly and regardless. If you're serious about getting what you don't yet have, it's going to require doing something differently than you've done. That may be as simple as opening yourself to a form of knowledge that you never have before. It may require something else. That's determined by you. One thing is certain...If what you've done to this point was all that was "truly necessary", you wouldn't still be looking for that one thing. You'd have no wants or needs either, because they'd already be fulfilled. Transforming long held wants, needs and/or desires, whether they're of a tangible or intangible kind, isn't "sprinkle the fairy dust" easy as many slick marketers would have you believe. BUT, it's not nearly as difficult as many think it is either. Although it "seems" that way to most, it's not...at least it doesn't HAVE to be. It's simply a matter of making the right choices. The kind of choices that align and harmonize with providing whatever desires you're currently wanting, seeking and perhaps trying really hard to get. They refuse to take the 1st step toward what makes it "easy." Admittedly, that's the hardest thing for most. Relearning the right strategies or taking that 1st step. That's why it seems hard to most. Impossible to some. The WHY is simple though. We'll be taking a close and objective look at WHY. I'll also reveal HOW to change what "seems hard or impossible", so you might personally see how simple taking that 1st step can be. and just how BIG things can get should you take it. Although MOST believe otherwise, it's often the most simple things in life that transform even the biggest want's, needs, hopes and wishes into real life experiences. What I'll be sharing today reveals the simplest most effective and definitely the most powerful game winning strategy that I'm aware of. It includes, yet goes well beyond the attainment of tangible desires. It's best described as a multi-level/multi dimensional approach to life. It's nothing new really and it's definitely NOT a "secret." In fact, it's what the mystics, sages and masters for thousands of years have done their best to get "team humanity" to understand the power of and do. I've written much about it over the years. I've also conveyed how important it is. It's simply a matter of training your mind. It's what's required for what's often referred to as taking an inside out approach to life. Based on the fact that we've learned little to nothing about what that REALLY means or how to DO it, your initial thoughts may be, "Whoa...that sounds hard!!" It's NOT. It's SIMPLE. Yet, as true as that is, few actually DO it. I mean REALLY do it. Playing the biggest game that you possibly can, requires more than being aware of what that is. It requires doing it. It needs to be done to experience the many life enhancing benefits that doing so provides. Not understanding how important, powerful and transformational doing so is. As many approaches as I've "tried" over the decades, this "inside out approach" is most definitely the most simple, the single most important and without a doubt, the most transformational game changing thing I've ever personally done. To say it's the game changer of ALL game changers is no exaggeration. Once you've discovered WHY it is, HOW you can do that "simply", and then choose to DO it, I KNOW you'll agree that this is the single most powerful and effective strategy I've ever shared with you. It's more than a game changer. It provides what you and EVERYONE is looking for too...that ONE thing that ALL are truly looking for. I call it Completion....what I and those who have actually done what's necessary to EXPERIENCE it, KNOW to be the Main Thing. Although I'd love to be able to accurately and comprehensively convey what a game changer it is, Completion can't be described. It must be EXPERIENCED. Any attempted description would fall far short of describing the actual EXPERIENCE. It provides a kind of KNOWING, peace, clarity, comfort and assurance that few ever experience. Although those (or any other) words do fall far short, (very much so) take heart, because I KNOW that what follows can assist you in EXPERIENCING what can't be described for yourself. Taking in and doing what follows, will enable you to KNOW what it means to EXPERIENCE Completion for yourself. Then and only then, can you KNOW why it enables you to play the biggest possible game, as well as WHY it cannot be described. What keeps you and so many others from it. This physical journey can, will, does, and no doubt has, taken some unexpected turns at times. It may (and chances are good, have) led you to and through places that were less than pleasant. You've no doubt experienced things which may not have made sense to you at the time. But isn't that what the game of life is about? Yes we each have varying interests, do different things, walk different paths, and at varying degrees, experience different results. Yet ultimately, that's why were on whatever path we are. To play the game and experience life in the best way we know how. How well or poorly we do is determined by which strategies we use. Strategies that WE ourselves choose. It doesn't really matter where our individual journeys might take us, where they lead us, or what they might be. As we pick and choose those strategies and play the game the best way we know how, we're ALL trying to achieve one and the same thing thing, regardless...Completion. 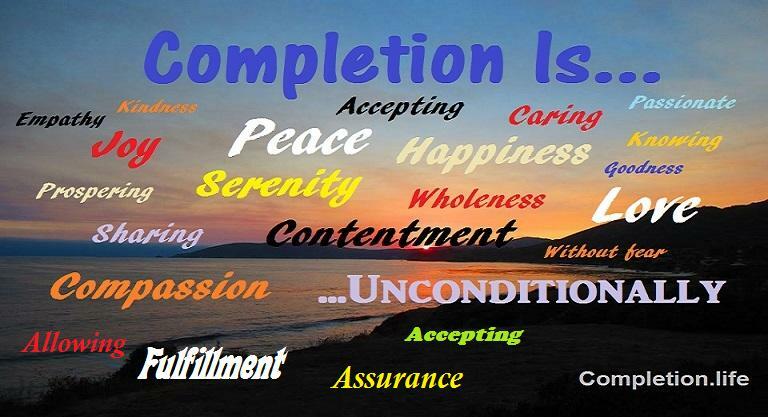 Although many don't realize or even call it that, Completion is that ONE thing. The fact is, many don't realize they are looking for that, that it can be found, let alone that it IS the Main Thing. If this Main Thing was something you could expect, that you could anticipate, that you already KNEW about, you'd have already experienced it. If you had, you wouldn't still be looking, searching and seeking for that one strategy that can change your entire game. I'll be frank here. Doing so requires understanding and doing what few understand the power of, or do. It's a very simple thing, yet it enables you to see beyond struggle and break free from any fear, doubts or worries which only serve to break our bodies down AND keep our tangible desires from us. The how behind that is no "secret" either. Many of the ancient texts provide us with very simple, yet transformational nuggets of wisdom regarding why that's true. Those same nuggets provide us with very simple strategies and what must be done to play the biggest game that we possibly can. They're the very strategies that make winning simple. Profoundly simple strategies that enable and empower us to win consistently and create an amazing quality of life for ourselves. They provide us with the kind of guidance that's truly necessary to transform ourselves and our game on many levels...on EVERY level actually. To keep things REALLY simple, we'll focus on just 3 game changing strategies specifically. Although they're found in the Judeo Christian Bible, make no mistake. They have NOTHING to do with religion. In fact because of what many "learn" in religious circles, they may seem to have little to do with Completion, let alone the fulfillment of tangible desires. But they do. In fact when applied, as instructed, the entire game changes and winning BIG becomes simple, natural and consistent...in ways that MOST can't even conceive or imagine. They're quite simple too, and as many "simple things" are, they're profoundly transformational as well...on ALL levels. Although it might seem that these have little to do with enhancing our game, let alone transforming wants, needs or desires, into actual life experiences, they absolutely positively DO. They have EVERYTHING to do with it. Although most go through life wanting, needing, or desiring something, it's needless and certainly not necessary. In fact, doing the opposite of what those statements instruct are what keep people wanting, needing and always desiring something more a reality. We CAN do that but it makes the game of life "seem" harder than it it actually is. It also makes the acquisition of things that we do currently want, need, desire, and perhaps even, pray and pray and pray for, seem hard to get. Bottom line, NOT doing what those timeless strategies instruct, is what has so many "believing that the game is hard, rigged, difficult to play and in many cases, IMPOSSIBLE to win. Ironically, it's that very "mindset" that so often keeps our wants, needs and desires from becoming real too. But it's needless. As long as this instruction has existed...as much as these transformational nuggets of wisdom have been taught, as many times as they've been read or heard, why do you suppose, that of the nearly 7 billion people who make up "team humanity", very few actually internalize the wisdom, engage in these strategies and actually DO what this game changing wisdom clearly and simply instructs? Why do you suppose that so few KNOW, let alone experience just how powerful and transformational these simple statements are in providing the kinds of WINS that so many claim to want? Reading, Listening, Learning and Teaching, In and of Themselves Can Never Provide An EXPERIENTIAL Form of KNOWING Which Makes DOING These 4 Things Automatic and Easy. There are MANY readers, seekers and learners in the world. Of those who are, only a small percentage actually internalize, retain, let alone apply, long term, what they do seek out, read, listen to, or learn. Seldom if ever, does doing things that way become embedded at the subconscious level. Among all the readers and learners in the world, for far too many reasons to cover here, MOST revert back to "initially learned" foundational beliefs acquired in childhood. Whether at a conscious or subconscious level, the majority continue on through life playing small and inevitably continue doing things just as they've previously "learned" to. Most are doing, and have done that, for a very long time. That's WHY so many "needlessly" spend years, decades, sometimes their entire lives, reading, learning, staying really busy and doing much, yet receive so little, in comparison to what "could be." Due to what they've learned and believe, they often resist doing anything that differs from their initially "learned" approach to life. This way of doing things not only limits tangible desires, it's what keeps so many from EXPERIENCING Completion...the ONE thing that EVERYONE is "truly" looking for and trying so hard to get. We ALL can. You can. It requires undergoing a process. A process of recognizing and unlearning less than effective strategies and replacing them with the kind that enable you to win big. Contrary to what many believe, doing those 4 things, is a simple process. At least it can be. It's a kind of process that enables you to unlearn the very things that ignite fear and keeps wanting alive and simultaneously reveal how self sabotaging those things are. I'll reveal that part of the process soon and how and why it can be simple. The process begins by understanding and opening yourself to a Higher Truth. It's time we sat down and had a talk. It's time you knew the truth... the Real Truth. It's a form of truth which I've often referred to over the years as a Higher Truth. Do yourself an ENORMOUS favor. As you read what follows, do your very best to temporarily disarm what you've been taught and believe to be true. For a short time, forget any familiar words that I might share here. Above all, please don't make assumptions that you already "know" all that. I can tell you from personal experience, in nearly every case, what we think we know and refer to as "truth", can and often does, keep us from KNOWING what can be KNOWN and EXPERIENCING what there is to EXPERIENCE. In far more cases than not, what we've been taught, learned, believe and think we know about how to play so we might win the game, is the ONLY thing keeping us and from having what we desire most. It certainly keeps us from reaching the literally indescribable heights that we ALL can. My written words here can never and will never provide that. No human words, regardless of how masterfully articulated or eloquently spoken/written they might be, REGARDLESS of who is writing or speaking them, can provide you with what's needed to play your biggest game. Words can mean different things to different people. Even the same words. Do your very best to look, feel and SEE beyond the words. Do the best you can to grasp the broader context of what I'm saying here. Don't merely read it...listen as you do...Hear it. Not with your ears but with your heart. "Disarm" what you "think you know" for just a short time and REALLY listen, so you might SEE and HEAR, to the degree where you understand in the deepest parts of you just how important what I'm sharing here is. If you will, you'll be more than glad you did. If you'll spend the next few moments doing that, it could prove to be the most game changing, transformational moments of your life. In far more cases than not, what we've learned and "believe" to be true, is what keeps us from living the kind and quality of life that so many go through life "wanting." It's important to acknowledge that. It is, because if we don't, we'll keep looking, seeking, searching and doing, yet inevitably, still never find and/or get what it is we're looking for. More often than not, it's not what we DO which keeps so many from personally EXPERIENCING Real Freedom or the indescribable sense of Completion that underlies each and every tangible desire we want, don't yet have, and in many cases, believe we can't get...it's what we DON'T do. What Have You Learned and What Do You Believe to Be True? Throughout life we're taught, told and encouraged to do many things. We're instructed to learn more about this, that or another thing so we might become more knowledgeable and better equipped to get we want. We're also taught what we should do, not do and how doing what we're told, is necessary. I'm not implying that learning or doing is a "bad thing. Obviously it's not. Learning and doing the right things is "Good." Necessary in fact. Yet in far more cases than not, what we're told and taught to learn about and do, often misses the mark. In far more cases than not, it doesn't provide what we're told, taught and think it will. In nearly every case, learning, doing and getting more of what we're "told" is needed to reach, achieve and "get" to where we desire to be, isn't what's truly needed at all. Learning certainly has it's place, just as doing does. Yet in the vast majority of cases, unlearning some (in some cases much) of what we're told and taught is what's "truly" needed. If we're to begin DOING things in such a way that enables us to reach the place where we fear not and want for nothing, it's essential and necessary. The fact is, in nearly every case, "unlearning" is required first. What needs to be unlearned are the beliefs that hold us back. In order to DO that, it's necessary to become aware of, identify, and acknowledge what IS holding us back. Then it requires disarming the "less than true" beliefs that keep our desires from us and replacing the "less than factual" ones, with a "Higher Truth." That's what enables us to move into the place where we "fear not" and "want for nothing." Doing that is what opens doors and enables what everyone is truly looking for to become a reality. It's our beliefs and perceptions of what truth is, or isn't, that either draw to us, or seem to push away what we want so badly. Many of our "learned" beliefs and the perceptions which stem from them, are what limit and in many cases sabotage, what we truly desire in life. They often blind us to or block our desired path altogether. Oftentimes they make the doing that we believe NEEDS to be done, much harder than it has to be. That applies to tangible things as well as the intangibles. When I refer to Higher Truth, I'm not referring to a kind of truth that's "learned" at some point in life. It's not found in a book, a newsletter, a church/synagogue/mosque, nor from reading the quote of the day. It's not a kind of truth that can be taught or learned. It must be EXPERIENCED. I can tell you about it, write about it and even teach you about it. You may even believe everything I say. But you won't KNOW it's true. That's a KEY fact to understand. Believing something and KNOWING something is true are entirely different things. What we learn, we often believe. Beliefs can change though. They often do. What we EXPERIENCE provides a KNOWING that never changes. It never dissipates, fades or goes away. I'm referring to an EXPERIENCE that transcends the tangible world. It's a space/place that reveals a Higher Truth. Higher Truth isn't something that can be known via the brain. Higher Truth is EXPERIENCED by transcending the mind. It's a kind of truth that becomes KNOWN by stilling the mind. It's not a form of truth that's dependent on, nor formed through our tangible life experiences. The kind and quality of whatever experiences we've undergone throughout life, regardless of kind or quality, (and aside from how we view and judge them) are nothing more or less than a mirrored reflection of our learned and predominantly held beliefs. These learned beliefs are what determine our perceptions and how we view ourselves, others, the master referee and the world. During the early stages of life, we're taught and learn many things. As we make our way through life, we recall and depend on what we've learned to make whatever "choices" we do. What we're taught to believe and the perceptions formed as a result, are the cause, the source if you will, which determine the quality of, our "choices." Those teachings, beliefs, perceptions and the choices which follow, determine the quality of our experiences. Our tangible life experiences. We depend on and use our perceptions of these various experiences, to discern and define truth from fiction. These experiences and encounters, regardless of kind or quality, often solidify, and in our own minds, serve to further validate that our "learned beliefs" are true. Most EVERYONE does that. But the fact is, it's a flawed approach. It's a backwards approach actually. It is, because our life experiences don't mold our beliefs, perceptions and choices. Our beliefs, perceptions and choices mold, shape and determine our experiences...and it NEVER fails. Yet with very few exceptions, due to what we've learned and believe, we allow the experiences we go through to solidify our learned beliefs. We allow those experiences to dictate and determine in our own minds what's true and untrue, yet in many more cases than not, those beliefs, experiences and the perceptions we hold about them, miss the mark. When our beliefs, perceptions and actions "miss the mark", they keep us from hitting our "desired" target. When beliefs and perceptions miss the mark and our experiences keep missing the desired target, it can "seem as if" we're missing the mark as well. But we never are. We ALWAYS receive and ALWAYS experience life just as we believe we will. That's the Higher Truth. Attempting to change surface level experiences without addressing the underlying cause, makes it "seem as if" we're powerless to change things. But we're not. We never are. We never have we been. We only "believe" we are. We only believe we are and often feel stuck, because we've been taught to think about, focus on and do what's necessary to change surface level things rather than do what's "truly necessary" at the causal level. That's why and where many do get stuck. It's also WHY so few ever change their beliefs or "perceptions" about things. We seldom learn the importance of doing that. We're seldom taught how, let alone that we can. If we're to believe what the timeless wisdom instructs us to do, our ultimate goal is to "fear not" and "want for nothing" right? Yet we DO the opposite. We do, because many of our learned beliefs are what "cause", ignite and ultimately create our fear. These "learned" beliefs combined with what we do, or don't do, because we "fear what doing or not doing them might do", keep us wanting, looking, searching, yet seldom "finding" what it is we're looking for. Our perceptions of truth and Higher Truth are, much more often than not, VERY different. This Higher Truth I'm referring to is much bigger, broader and MUCH more profound than anything that can be learned. It's a very liberating kind of truth. It's of a kind and quality that never changes, always provides and never wavers. It's currently true, has always been true and it's always going to be...regardless. It's an immutable and unwavering "truth" that stands the test of time. It's a kind of truth that once KNOWN, enables us to "fear not" and "want for nothing" without trying. There is no "try" in Higher Truth. You either "choose" to DO or you don't. It doesn't matter if what you believe is aligned with Higher Truth or not. The Higher Truth is, WHAT you believe, you GET...unconditionally. What we often overlook, is that every "choice" we make stems from a belief. Many of the choices we make create want, keep us in need and seemingly stuck in a fear based cycle, as subtle as it might be. Any want or "need" is fear based. Fear based cycles cause, stress, anxiety, etc. 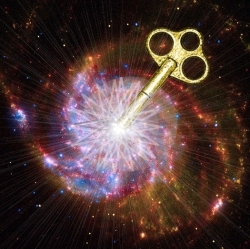 When Higher Truth becomes KNOWN and Completion is EXPERIENCED, a "peace" that surpasses ALL understanding takes hold. Rather than seeking, searching, learning, getting and doing what we're "taught" needs to be done, we KNOW that all things work for good, all is well and Completion becomes automatic...simply, effortlessly and immediately. It's a way of being that enables us to be far more effective and efficient in everything we do. Aside from what many have learned and believe to be true, Higher Truth can, in no way, shape or form, be acquired externally at some point in life. 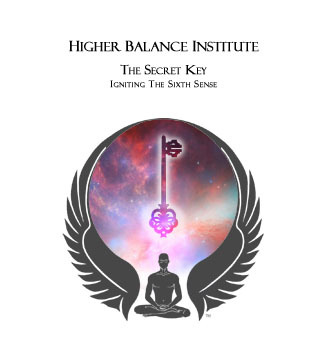 Higher Truth is far more expansive than anything we could learn from parents, teachers, siblings, clergymen or the countless venues available to us. It can't become KNOWN by reading a book such as the Bible, the Bhagavad Gita, the Quran, The Vedas, the Tripitaka, or any other of the books that we're often told to read. Yet that's where we've learned to keep looking, keep trying and continue doing, yet we never arrive, let alone receive, what we're truly looking for. We learn and even "believe", yet we never KNOW in a very personal and profound kind of way that enables an experiential kind of KNOWING EXPERIENCE to take hold. Perceptions of truth dramatically limit what CAN be KNOWN, received and EXPERIENCED in life. The fact is, much of what we've learned instills fear. What we "perceive" to be true consistently ignites those instilled fears, which is the VERY thing that keeps us wanting. I refer to Higher Truth as such, because it is. Much more so than many of the perceived truths which we've been told of and taught about throughout our lives. The fact is, much of what we've "learned" and depend on to make various life choices, is SO very limited and self limiting in SO MANY ways. Because that's true, our experiences and encounters in life become limited as well. In the same way, Completion isn't something that's acquired by doing what we've "learned." For the most part we've learned we must do this, do that and do it in this specific way so we might get the "stuff" we want. We've been told and taught that "getting this stuff" will make us happy and content. We "believe" that "feeling complete" happens when we acquire the money, get just the right girl/guy, and have the health that so many want. 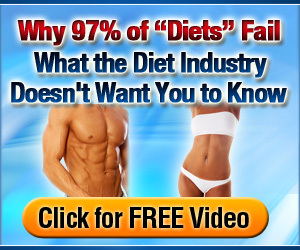 Although many "believe" that will do the trick, it's a LIE. Nearly all externally acquired "worldly" beliefs keep us looking, wanting, striving and always "trying" to find and acquire "more" of this worldly tangible stuff. We're told and taught that getting more of this, more of that or more of this other thing will make us happy and fulfilled. It's become so deeply ingrained into our minds that we "fear" that if we don't "get that stuff", that we won't be able to be "happy", experience fulfillment, or in some cases survive. These learned beliefs and how we DO things conflict with Higher Truth. That's what so often delays, blinds us to, and in many cases even sabotages, what it is we're truly looking for and trying so hard to get. Tangibly speaking, much of what we've learned to believe, think, and do, not only keeps us from having what we call the "good things in life", it never enables us to EXPERIENCE the literally indescribable sense of Completion that we ALL can. Rather than HAVE the good stuff so we can "feel" whole and complete, what NEEDS to be done is not only "feel" but KNOW that we ARE whole and complete so we can HAVE what we "believe" is the "good stuff." Yet MOST haven't learned, don't believe and as a result, do not and WILL NOT DO what's necessary to tap into Higher Truth. But it's the missing link. The ONLY missing link that few ever find and even fewer DO, which is why so few EXPERIENCE Completion. That's why so many consistently strive for and spend the majority of their lives searching for, seeking out, reading, learning and trying so hard to find and/or get whatever it might be that they've "learned to want", "think" they need and oftentimes fear not receiving. The Higher Truth is there's no need to want, and WANTING has never, and can never, provide what you NEED. The only "need" we have is to learn, understand realize and KNOW what we already DO have, so we can begin using it in such a way that fear melts away and wanting for nothing becomes a reality. That's when the floodgates open and seemingly miraculous things begin to happen. When we make the choice to EXPERIENCE, understand, KNOW and apply this Higher Truth, fear, want and need disappears and Completion takes hold. Yes, we do the best we can with what we've learned, yet due to what we believe, regardless of how much we have, do, or get, we always find ourselves looking, wanting, hungering for and seeking "more." There's a very good, yet simple reason as to WHY we do that, yet constantly claim we don't want to. Let's look at life as a journey and the choices you make as paths. Many of our choices lead us down paths that we'd rather not travel. Yet due to what we've "learned and believe", we feel we must. In the vast majority of cases, these "beliefs", perceptions and the choices which stem from them, keep us from being, doing, having and/or serving in ways that we'd love to, ALL can, yet seldom do. We're told and taught that we must do what's necessary to survive and get by, whether we like it or not. But it's a fear based approach. Whether what you believe and perceive as being "truth" is "true or untrue", is immaterial really. The Higher Truth is, the beliefs you've acquired and "choose" to hold, always provide...just as you choose. Precisely as you choose. The perceptions that stem from these "beliefs" determine how you view yourself, others, life and the world. Perhaps the most dis-empowering thing that most have "learned" is what's true and untrue about God (or whatever the Source of your understanding might be) and ourselves. Sadly, it's WHAT we've learned and believe about God and ourselves that keeps so many from understanding and KNOWING what CAN BE and "needs to be" KNOWN about God and ourselves, if we're to HAVE all we CAN have in life. The fact is, it's what we've learned and believe to be true about God and ourselves that most greatly LIMITS doing what's "truly necessary" to receive all that is available to us. Many are taught, learn about and believe in God. Far fewer know what it means to KNOW God and the difference is ENORMOUS. It's what we're taught and what we've learned that often keeps us from doing that. These limiting "learned beliefs" determine without fail and with mind boggling precision, how you think, what you do and inevitably what you'll see, experience, have or not have in life...unconditionally. Our less than true beliefs and the choices which follow, create what we often view as being an inescapable cycle, which continually ignite our fears and keeps wanting alive. We've learned and hold all kinds of beliefs. The fact is we have many. A very complex (and oftentimes dichotomous and conflicting) tangled web (of both a conscious and subconscious variety) that we've acquired at various stages throughout life. As obviously true as that is, there's something of vital importance to acknowledge and face IF you're ever to take conscious control of your personal journey, choose the paths that you desire to walk down and experience the kind of "freedom" and Completion that all CAN. Truth and belief are often VERY different things. While many teach that conflicting beliefs keep you from whatever it might be, it's not entirely true. The Higher Truth is, our beliefs (whether true or untrue) draw to, and provide us with, whatever we believe they will. They create what we often judge as lack, limitation, chaos, and discord. Those "less than desired" experiences keep "wanting" alive. They stir and consistently ignite additional fears. They provide us with "tangible things" and life experiences that fall far short of where we "truly desire" to be. They lead to choices and have us navigating paths where the scenery is far "less than" we want. When beliefs and "Higher Truth" are aligned, the scenery changes. Harmony takes form. It replaces chaos. Fears dissipate and wanting ceases. The Higher Truth is, there is no such thing as chaos or discord. Lack and limitation is not real. Any "perceived" chaos, discord, lack or limitation is nothing more than a "belief" or beliefs that are aligned and harmonized with the "experience" of discord, chaos, lack and limitation. Those are merely events, conditions and things that we've learned to look at, view and judge as such. They are brought on and sustained due to "fear based beliefs" which make want, need and various forms of fear a constant reality. The Higher Truth is, you don't "need" anything. Wanting is self created. There is no need to want and there's NOTHING to fear except "fear" itself. There's is absolutely no need to WANT or fear not having what's already yours and readily available to you. All that's truly needed is a transformation. What's necessary to transform the "less than desired" into what's "truly possible" is acknowledging and letting go of what's FALSE, embracing what's "true", which automatically eliminates fear and want. The ancient texts provide us with very powerful, transformational and simple instruction as to what "truly needed" to undergo our "desired" transformation. Transforming tangible events and intangible things such as beliefs, feelings and emotions, requires transforming the mind. That's another thing that keeps so many stuck. Seemingly stuck. They're not really, they just believe they are. Many become seemingly stuck only because they haven't learned and/or don't believe that the mind can be transformed quite simply. That's what tapping into, KNOWING and EXPERIENCING Higher Truth does effortlessly. When we do what's necessary to tap into, EXPERIENCE and personally KNOW the awe inspiring and transformational power of Higher Truth, much of the intellectually acquired "less the true" beliefs are SEEN as and for what they are. The Higher Truth that we come to KNOW replaces the "less than true" and they're replaced and fall away. Unlearning and relearning happen simultaneously and Completion becomes KNOWN. When we do what's truly necessary it's simple. Yet, what's truly ironic is that in many cases, our "learned beliefs" can (and in the vast majority of cases do) keep us from doing that. They keep us from DOING what's truly necessary so we might discover what it means to KNOW and EXPERIENCE what's "really true." They keep us from KNOWING a Higher Truth and inevitably from EXPERIENCING the Completion that ALL are looking for. That's "true." It will. It does. It ALWAYS has and it's ALWAYS going to. It's a timeless and irrefutable Truth. It's the Highest Truth. While many beliefs we hold limit and keep us feeling trapped, limited, fearful, wanting, needing and always "seeking more", Higher Truth sets us free. Truly free. A choice to elevate, enhance and align our "beliefs" with Higher Truth, transforms even the most seemingly horrific and unpleasant journey into the most pleasing, desirable and awe inspiring kind of trip. That's why I refer to it as a "Higher Truth." Unlike our "learned beliefs", which are malleable and can change over time, Higher Truth never does. It never has and it's never going to. You could say it is, always has been and always will be definitively true. I'm talking about "truth" as a KNOWING. An unshakable and unwavering kind of KNOWING that oftentimes overrides, reveals and shows us in ways that there's no possible way to describe, just how limited, "untrue" and off the mark many of our learned beliefs are. Even the long held kind. Maybe even, ESPECIALLY the long held kind. If you were aware of and aligned with this Higher Truth, you wouldn't be fearful. You wouldn't be wanting, seeking and trying to get more. You would KNOW the power you hold. You'd become enabled to KNOW and SEE that there's nothing to fear and begin to EXPERIENCE what it truly means to "want for nothing." We have wants and fears because of what we've learned through man. Higher Truth comes from God. If you knew where to look to acquire and find the Higher Truth, surely you already would have. As I've shared many times over the years, I don't WANT you to take my word for what I've shared or ANYTHING else. I don't WANT or NEED for you to believe me. I'm certainly NOT looking for followers. After EXPERIENCING what I have, it became my "Soul Purpose" to assist all who are willing, want to and desire to, to EXPERIENCE the same. What I do KNOW is that you CAN...ALL can, yet few do. I don't just "think or believe" you can. I KNOW that you can, if ever and whenever you "choose" to. But what I KNOW doesn't matter. What matters is what you think, believe and KNOW. What matters is what you're willing to do or not do. That's what's going to determine your results in life. Since you're still reading, chances are, you are open, willing to learn and perhaps past ready to STOP wanting, hoping, wishing and seeking more of whatever it is and receive it. Where are You, What Have You "Tried", What Do You Believe and Where Is It That You Want to Go? Maybe you've been on the self help, personal development, or self actualization path for awhile. Perhaps even a long while. It's even quite possible that you've learned and become quite familiar with the lingo often used in the religious/holistic/spiritual circles. You understand to a degree what it all means, and even speak about it in your daily conversations. Perhaps you've even been "saved", are "seeking enlightenment" or have been "in the process" of awakening for awhile. It's also possible (and in many cases highly probable), you've been searching for answers and deeper meaning since before you could remember. If you're like most earnest seekers, you've likely subscribed to a number of newsletters, read tons of books, tried all kinds of motivational and/or personal development programs, various self help systems, attended countless seminars...tried this technique, that gadget (maybe countless techniques and many gadgets) and yet, despite all that, you still feel as if you're missing something. You've looked, you've sought, you've tried, you've prayed and you've looked, sought, tried and prayed some more, yet there's still this empty space deep within you that you just can't seem to fill. There's a void...something missing deep inside that you just can't seem to pinpoint. This missing something keeps you seeking, searching and trying. It's WHY you're still looking. I know that feeling. I know what it's like. I do because I've sought, searched, tried and experienced the same. I guess you could say that I've "Been there and done that." I've personally "tried" a number of things over the decades. Perhaps more than most. Through it all, I've found myself where many do...seeking, searching, trying and in a seemingly endless cycle of "learning." Through it all, I've listened to and learned from many. I've been through a period where I engaged in all the rah rah motivational stuff, walked the "religion" path and even bought into much of the marketing hype. I've been promised the moon, lied to, let down, tried some more only to experience more of the same. All these things I "tried", yet none provided what I was looking for. I could have given up, but I kept looking. I was more than curious. Definitely more than serious too. I was both actually, yet very committed too. I'm beyond grateful and ecstatic to say, that commitment to stay the course paid off. I say that because I discovered something that I didn't realize could be discovered, let alone EXPERIENCED. What I thought I knew about God, love, myself, what we could SEE and what could be KNOWN about life, both here and beyond, turned out to be a LOT more than I was taught. In fact, as I've mentioned, much of what we "learn" and believe to be true about BOTH God and ourselves, is the WHY behind what keeps so many "fearing, wanting and seeking", yet seldom finding. 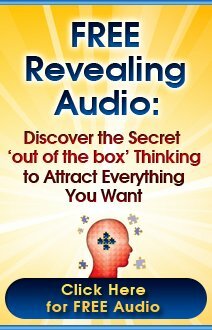 If you're like me and MOST who have tried this program, that technique, have been a vigilant reader and perhaps even a sponge for knowledge all your life, you are still missing something. You know it. I know it. You could go on like this, searching, trying, following the "rules", obeying the "laws" and jumping through hoops. You could continue on as you have for 5, 10, maybe even a hundred years and you know what? If you continue doing as you have, you would still be missing that "something." Maybe you'll argue about how much you've learned, how you've changed, how much you've grown and that over time, you've improved so much. Many do. You might (and more than likely do) see and share with others, specific ways how you've benefited immensely from everything you've learned and done so far. I won't and never will deny or downplay that. I'm not saying you haven't gotten something out of what you've done and where you've been. What I am saying is regardless of where you've been, what you've done, how much you've learned, or much stuff you've acquired...there's more. Much more. I'm saying that if you're unable to say with unwavering conviction that you KNOW what it means to feel utterly and totally "Complete"...there's something you need to acknowledge, right now. You'll continue on looking, seeking, learning, searching and trying to get more, because you're still missing something. You can't pinpoint and are unsure about what IT is, but you know there's something that you haven't yet found. Reflect with nothing but complete honesty on how you feel...and you know it to be true. Whatever you gained from everything you did before, did not give you what you were really looking for. If you're to feel as good and progress as far as you CAN in life, it's important to realize that. Many people do their best to ignore it, resist it and will hide that from themselves. It's why they keep looking, seeking and trying. Yet, deep inside, that guiding little voice, a faint whisper from somewhere deep within, calls out, knows it's true and pushes you onward in search of it. There's no shame in that. There's certainly nothing wrong with it. Looking, seeking, admitting and acknowledging an urge (perhaps a yearning) to find what you feel is missing, is actually a very good thing. 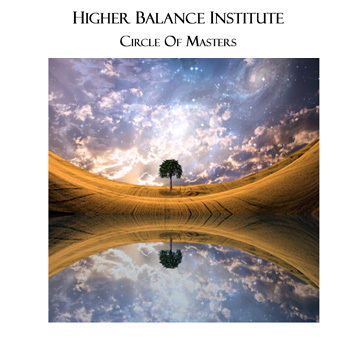 When you acknowledge that missing piece, you've taken the 1st major step forward in aligning yourself (the physical you) with your Higher Self. That's the part of you that we learn little to nothing about. We may hear or even learn a little about it, but seldom to the degree where we understand that we CAN reconnect, align and harmonize our physical selves with this part of our self. It's that part of you that nudges and is trying to help you find and reconnect with this missing thing. Once you've acknowledged, accepted and embraced that there is more...that something is missing, that's a HUGE step. Yet if you continue to allow your learned beliefs to lead, guide and direct you, you'll never arrive at the place where what you're truly looking for can be found. Despite the countless benefits you get out of the many different forms of meditation, self improvement, some religious affiliation, various philosophies, or even a very focused form of spiritual development... ultimately that is the one thing that people are truly looking for...it's what most people really want. The missing piece...that "something" that fills the void once and for all. Money won't do it. Your spouse can't. Your vocation won't either. And religion? Well. Although many "believe" that some special relationship, great health, a predetermined amount of money, or acquiring enough "stuff" is what will make them happy and complete, it doesn't. Take it from someone who has worked hard, acquired much "stuff" and also believed that once upon a time. It can't. It never will either. Having every material thing you've ever hoped, wished or prayed for will never "get you there." Things can't. They never will. That's the truth. 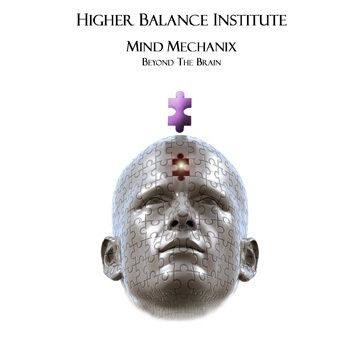 The majority of so-called experts, preachers, gurus, masters, yogi's or whatever name/title the many self help/personal development folks might identify themselves with, will never be able to provide you with this missing piece either...they can't. Yes, there are those who can point you in the right direction. There are those who have felt what you do, have been where you are, understand and even KNOW what's missing. But sometimes (many times in fact) those who we've been taught to look to for knowledge, wisdom, guidance, and/or deeper understanding, can't even assist with that, because even they aren't fully aware of and don't KNOW this place...they haven't yet found or EXPERIENCED it themselves. The Higher Truth is, those who have, are very few in number. Sure, like you, me and everybody else who's been on this "path" of personal development and self actualization for any time at all, you've no doubt gained a lot from your journey. You have a lot to share. But in the end, there's really only one thing that matters. In spite of what we may have learned and believe to be true, it all boils down to one ultimate goal...there's one primary objective we're all attempting to achieve. That ONE "main thing" is Completion. I call it the Main Thing, because it is. It goes beyond money, a terrific partner, the perfect family, optimum health and even all the time freedom so many work toward, strive for and wish they had. It's this one missing thing...this Main Thing that keeps us looking, seeking, trying and sometimes struggling as we do our best to "figure out" what it is. It's this "one thing" that disarms fear, eliminates want and enables Real Freedom to become real. Regardless of where we are in our personal journey, that's what we're ALL really looking for and trying so hard to get. All the intellectual forms of knowledge and learning in the world can't possibly provide those things. It must be EXPERIENCED to KNOW. That's why I have written and shared what I have today, I'm going to reveal how you can unveil the mystery of and find that missing piece. It's what I KNOW can enable you to discover, KNOW and personally EXPERIENCE what Higher Truth and Completion is for yourself. It reveals and enables you KNOW the enormous and indescribable potential that is inherent within you...within ALL of us. It reveals a kind of "Truth" that sets you free...truly free. It provides a form of Completion that reveals the simplicity of and puts everything experienced in the physical world (past, present and future) in perspective. It reveals, in ways that can't be described, the simplicity of what "seems" so complex. It's what many would call the secret that could lead to the greatest and most fulfilling discovery of your life. It WILL when you enable yourself to do what's truly necessary to personally experience the "Completion" that you seek, and maybe for years have sought for yourself. Since so many are looking for this "missing thing", and there are countless "seekers" globally who are earnestly trying to find it, it's time I share another "truth." You don't find it. You CAN'T. But you don't NEED to. It finds you. But creating just the right conditions to enable it to reveal itself, are up to you. I've tried many "things" over the years, including different forms of meditation. But only one provided what I've done my best to describe. 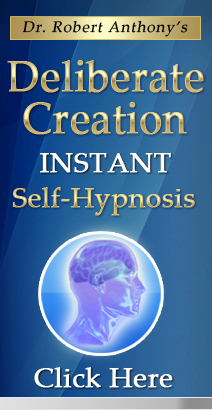 It's called The Awakening Dimensional Consciousness Guided Meditation System. If you'll put aside any preconceived ideas and notions about how you are supposed to find this missing piece, and where...I KNOW you will not be disappointed. I'll assure you of one thing. It's the simplest of things that provide the most amazing results. It's at the most unexpected of times, in the most unexpected of places...you find exactly what you were looking for. Don't miss it, because it wasn't what you expected it 'should' be...remain open, willing and receptive. If you'll do that and your "truly" seeking the answers, DO what's TRULY necessary, and they'll find you. You can KNOW that too. Better yet you can KNOW and personally EXPERIENCE what it means to be complete. TRULY, fully, wholly and joyfully "Complete." Once that happens, all the work, all the seeking, all the doing, all the tangible things acquired afterwards hold much more meaning. They not only CAN, they will. But they only will if you make the choice to allow them to. As many like me around the planet who have done and experienced the same, we KNOW...and nothing...and I do mean nothing can ever replace, change, shift or take that away. Once you KNOW...once you've EXPERIENCED for yourself this "Completion" that I've done my best to convey, but cannot possibly describe, and you KNOW, you'll never in a lifetime forget nor "allow" anyone or anything in the world out there to shake, rattle or change it. It's a kind of KNOWING that serves as a rock solid foundation to build upon...a springboard of sorts that once KNOWN and EXPERIENCED, enables you to SEE and do things in such a way that opens doors to SEEING, HAVING and EXPERIENCING what many never will. It's a combination of KNOWING and EXPERIENCING a kind and quality of love, assurance, appreciation and joy that once EXPERIENCED, never fades and is never forgotten...regardless. The Infinite, awe inspiring and truly unconditional kind. Let your guard down. Get out of your own way. Forget what you think you "know" and do it. The outcome will astound you far beyond description. 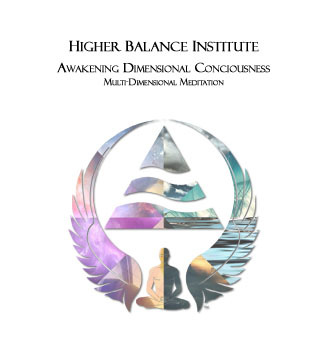 Learn more about the Awakening Dimensional Consciousness Guided Meditation system here. 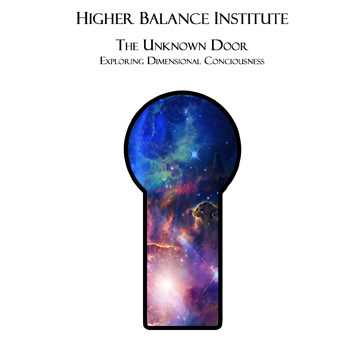 Gain direct access to the Awakening Dimensional Consciousness Guided Meditation order page here. Doing so could transform you and your life in ways that you can't possibly imagine right now. The fact is, it will. But it only will, if you make the choice to do it and allow it to. Be assured of this. You can choose to keep looking, searching and trying to find, or you can enter into the "space" where a Higher Truth is revealed, becomes KNOWN and Completion can be EXPERIENCED. Once you've found and KNOW the truth, the mind transforms, fear dissipates, wanting ceases to be a "problem." "Then you will not only KNOW the truth, you'll EXPERIENCE it and that kind of Truth will, beyond the shadow of ANY fear, doubt, worry or apprehension, set you free." 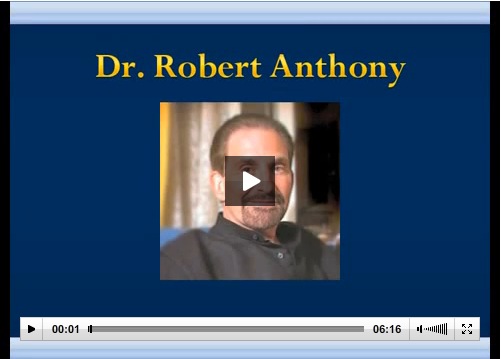 Each of the resources recommended in the Completion article and throughout Abundance-and-Happiness.com have been personally tested and approved by the founder as a credible and effective means of accomplishing it's intended purpose. Any and all guarantees are handled through the company that provides the resource.